Happy New Year from ASPB, Plant Cell, Plant Phys and Plant Direct, and me! I don’t think that 2018 will be on too many lists of “favorite years”; nevertheless, there have been many bright spots. My personal highlights all center on interactions with early-career scientists, whose energy and enthusiasm propel plant science towards the future. In 2018 I had the pleasure of working with two groups of bright and talented ASPB Conviron Scholars (BS, MS and PhD students), whose passion for learning is instantly energizing. Twenty students completed the program in 2017-2018, and there are 43 in the 2018-2019 class. The Conviron Scholars program is a structured, mentored program that helps early-career plant scientists explore career opportunities and build skills. Here are some highlights from 2017-2018, and a collection of Informational Interviews by the current class. The students are currently working on a series of essays on the topic of gene editing (watch this space!). 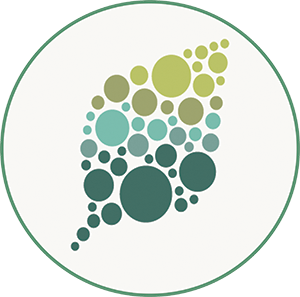 The Plantae Fellows program is open to participants at any career level, who consistently delight with their creativity and eagerness to contribute to our society of plant scientists. Plant Science Research Weekly (formerly What We’re Reading) is one project that many Plantae Fellows contribute to. Special thanks to all who wrote for or guest-edited this plant science highlight series, as well as those who have curated content, created infographics, hosted webinars, and organized blog series on the Plantae website. The Plant Cell and Plant Physiology Assistant/ Associate Features Editors (Plant Cell AFEs, Plant Physiology AFEs) are relatively new but exciting programs for the journals. The AFEs write research highlights, in the form of In Briefs and News and Views, and contribute to our Chinese language WeChat channels. Along similar lines, Plant Direct has established a Junior Review board, providing guided, mentored peer-review training. 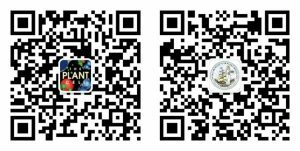 The journals have also been celebrating the contributions of “first authors” to the research endeavor, through publishing brief biographies alongside their papers (see Plant Cell and Plant Phys first author profiles on, now on WeChat also). ASPB is creating and expanding opportunities for early-career scientists through the ASPB Ambassador program and by opening key committees to early-career representatives – note that both of these programs have Jan 15, 2019 deadlines. These opportunities are being developed partly in response to feedback from early-career researchers, both during the ASPB’s annual “town hall meeting” and through direct communication with ASPB president Rob Last. Rob encourages communication with him through with Twitter (@Biokid001) and encourages the use of #ASPBforward as a tag for discussions about how ASPB can continue to serve the plant science community; read more in his first President’s Letter. (ASPB President-Elect Judy Callis is also dipping a tentative toe into Twitter – find her at @judy_callis ‏). Lunch with graduate students at Tsinghua University. Another personal highlight was my tour of Chinese universities, in response to the tremendous growth in plant science taking place in China (see for example this). It was a fantastic opportunity to meet scientists and students and discuss ways to better engage with early-career scientists in China, such as through WeChat. I look forward to strengthening these ties at the Arabidopsis meeting in Wuhan, China in June 2019. I am also looking forward to the 2019 Plant Biology meeting in San Jose, California (August 3-7). The Plant Biology meetings are fantastic events for learning, networking, and presenting, where you can also attend diverse skills-development workshops. Registration coming soon! Plant Biology is followed immediately by a satellite Synthetic Biology meeting, August 7-9. Synthetic Biology promises to provide exciting new directions and challenges (and sources of funding) for those with training in plant sciences; learn more in our recent webinar Synthetic Biology 101, and watch for the Plant Physiology Synthetic Biology Focus Issue, due in early 2019. Finally, I’ve had the pleasure of working with several Teaching Tools in Plant Biology authors this year. In August 2018, we published “TTPB38: Small and mighty: Peptide hormones in plant biology” by Sonali Roy, Peter Lundquist, Michael Udvardi, and Wolf-Rüdiger Scheible. 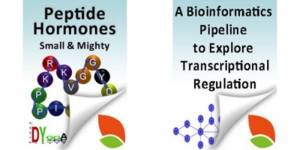 This is a great addition to the series and covers the diverse roles that small peptides have in plant biology, a fascinating topic. In October we published “TTPB39: A bioinformatics pipeline to explore transcriptional regulation in plants” by Amy Marshall-Colon, Mary Williams, and Kranthi Varala. This provides an overview of how large transcriptomic datasets are generated and analyzed, with hands-on step-by-step instructions so that you too can give it a go (now that I’ve had a taste I want to learn more, so I’ve signed up for the free Coursera course by Nick Provart, Plant Bioinformatics). In January we’ll publish two more Teaching Tools, “Molecular control of shoot architecture” by Agustin Zsögön and Lázaro Eustáquio Pereira Peres, followed later in the spring by “Three-way interactions for healthy plants” on tritropic interestions, written by a multi-national, multidisciplinary team lead by Maria Jose Pozo. So you see, things aren’t all gloomy. There has been a lot to celebrate this year, and more to look forward to in 2019. 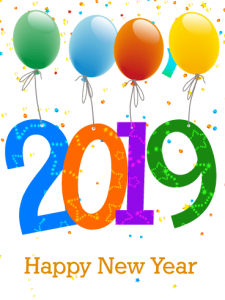 I hope you all have wonderful, festive, and safe celebrations as we say goodbye to the old year and welcome in the new year with hope and anticipation. We’ll resume highlighting new papers next week, but this week we’re recognizing some plant science research highlights of 2018: The Plant Cell, Plant Physiology and Plant Direct top articles by Altmetric scores. (Remember, when you publish in these ASPB journals you support all of the great programs I mentioned above! ).